When diagnosed by his doctor with a kidney problem, Ambri Luwung was shocked. He was unaware that his hypertension could lead to kidney failure. “I have high blood pressure, which I inherited from my father,” said the 32-year-old, who first found out about his condition six years ago. Although he controlled his diet and other activities, his hypertension was not properly treated. This eventually led to chronic kidney failure, which had to be treated through dialysis. Tunggul Situmorang, a nephrologist and coordinator of the Indonesian Nephrology Association, Jakarta chapter, said most kidney failure cases resulted from improperly treated diabetes and hypertension. Moreover, especially in Indonesia, kidney failure is also caused by kidney stones. “In other countries, kidney stones rarely end in kidney failure because of prompt action after the stones are detected,” Tunggul says. In Indonesia, people are still using non-medical methods to remove the stones, which can worsen the condition. Tunggul urged those with diabetes and hypertension to use proper medication. Kidneys fail to work when both are functioning at 15 percent, making the body lose the ability to process toxins and waste products. Consequently, the body is filled with excess toxins, a condition called uremia that swells the hands and feet as well as causing fatigue. With kidney failure, the only way to maintain quality of life is to undergo life-long dialysis treatment or a kidney transplant. “I suggest a kidney transplant, but it means one has to find a donor. Dialysis then becomes an alternative,” explained Tunggul. 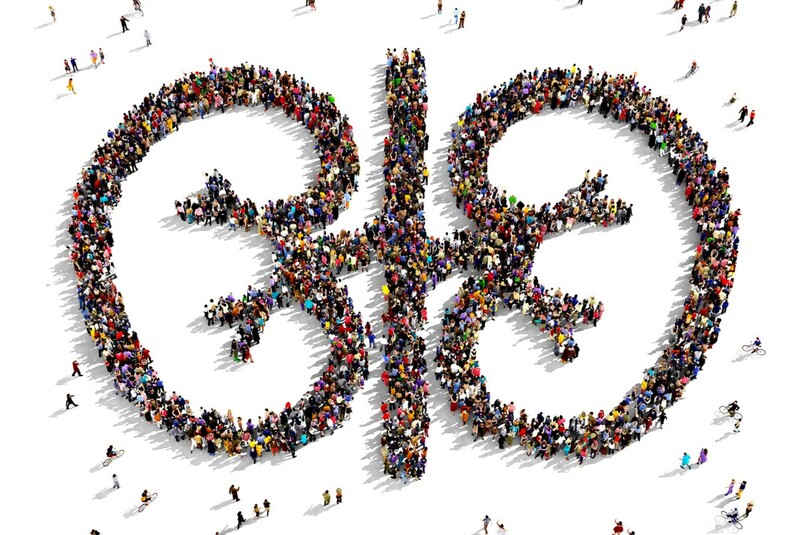 It is estimated that there are more than 80,000 people in Indonesia who suffer from kidney disease, some who are desperately in need of transplants. A report by the World Health Organization (WHO) reveals that organ transplants have become a global practice. It is now performed in more than 90 countries. But its high cost and insufficient donors makes dialysis an alternative. “Under dialysis, a patient can engage in normal activity with routine medical checks for monitoring,” Tunggul says. There are currently two methods of dialysis. The first is hemodialysis – a therapy conducted at a hospital or dialysis center three times a week. With this process, the patient’s blood is processed through a filter to have the poisons removed. The clean blood is then returned to the body when the purification process is finished. The second method is peritoneal dialysis (PD), using the peritoneal membrane of the abdomen as a filter to remove poison from blood, which can be done by the patient at home. The second therapy relies on the membrane as a natural filter for blood purification, by which the liquid from this dialysis will remain in the abdominal cavity before being dried out. This process is repeated three to four times per session. Dextrose in high concentration is sometimes used to remove the liquid and poison drawn from the body. PD is in fact easier than hemodialysis, which depends on routine hospital treatments. Young patients, who are active, usually choose PD for practical reasons. However, Tunggul mentioned certain circumstances when patients with kidney failure can only choose hemodialysis. “When they frequently feel fatigued and nauseous, the time has come for hemodialysis, No more bargaining,” he said. After six years of undergoing PD therapy, Ambri continues his activity as an entrepreneur and volunteer for dialysis patients. The same is true of Tomi Samosir, another kidney failure patient who has had a successful kidney transplant and carried on his daily activity. Like Ambri, Tomi is also an active volunteer providing guidance to people with the same health problems. “They shouldn’t think that life is finished after suffering from kidney failure,” said Tomi. According to the Indonesian Renal Registry data in 2014, 54 percent of people with kidney failure belong to the productive age group below 55, meaning that the appeal to choose the right therapy for their continued activity deserves support. Tunggul said dialysis patients’ capability of enhancing their quality of life was possible through routine examinations and prescribed drug consumption. “Actually, they are not 100 percent healthy, but through appropriate medical care their quality of life can be improved,” he said.